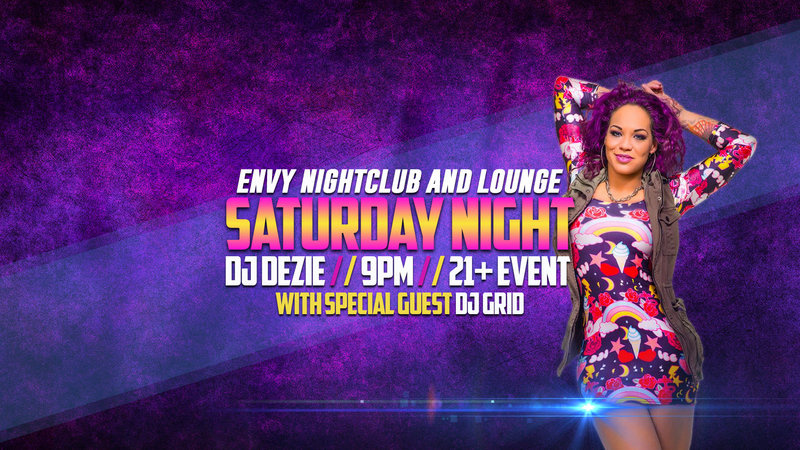 Come party at Envy Nightclub and Lounge with DJ Dezie and special guest DJ Grid and dance all night to the hottest Top 40, Hip Hop, House and Dance mixes and remixes until the sun comes up! DJ Dezie has held several residencies over the years at the Luxor, Monte Carlo pool and Level 107 Lounge at the Stratosphere Hotel. DJ Dezie was named (as DJ Deziree) on the SheFM Top 100 Female DJ list, as well as Sexiest DJ in Vegas by readers of QVegas Magazine. Dezie was also a candidate for Best Female DJ in Vegas this past year. We also have AWESOME Birthday Specials going on so call (801) 231-3096 if its your birthday or a friends birthday and we will hook you up! Share and Invite your friends!